BEST SELLING FIT! NEW COLOR! 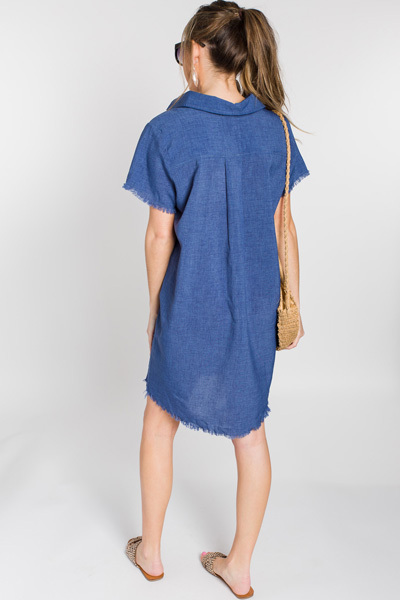 Fringed edges give this dress extra cool points! 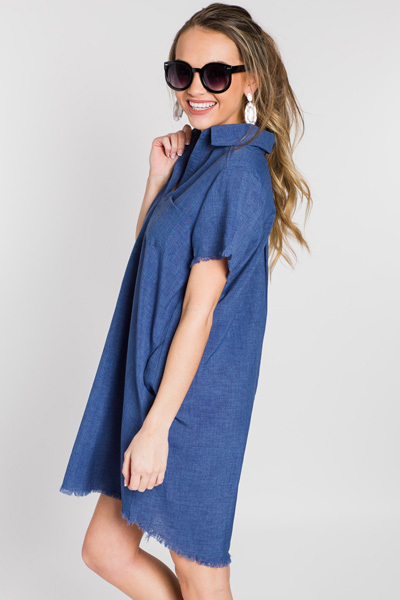 Dress features a simple shift shape and has pockets! 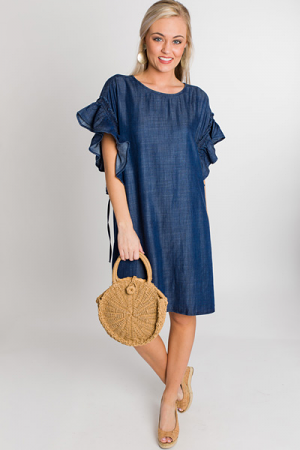 The fabric is a lightweight cotton-blend that is perfect layering and taking season to season. 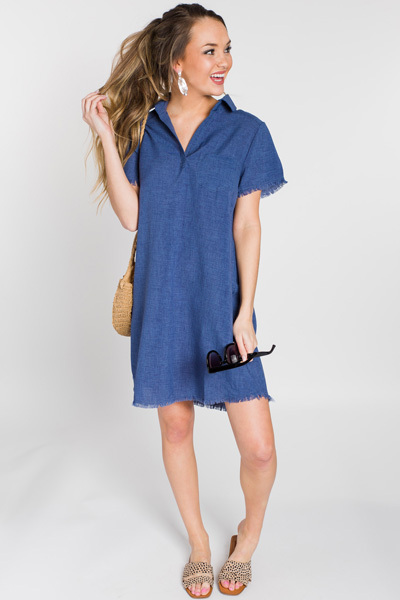 Shoulder to hem measures approximately: S- 36" M- 36.5" L- 37"